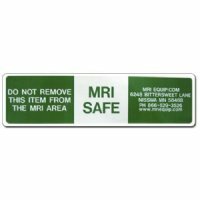 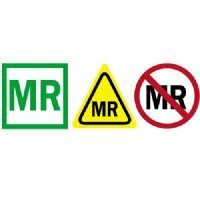 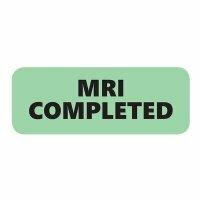 MRI Safety Stickers are a quick and cost effective way to keep your MRI environment noticeable and safe. 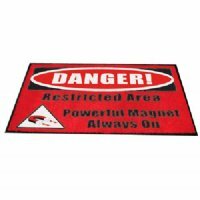 We have many different warning, danger, caution, & notice signs. 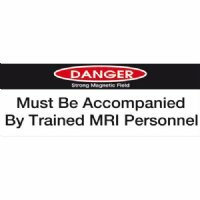 Safety is first and most important when dealing with MRI environments. 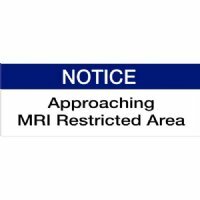 Properly labeling you MRI environment is very important. 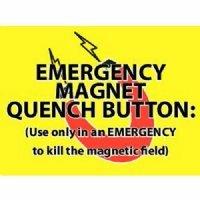 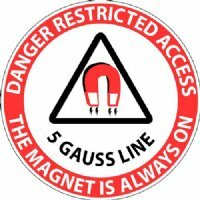 Entering this environment with any magnetic object can cause serious injury or even death. 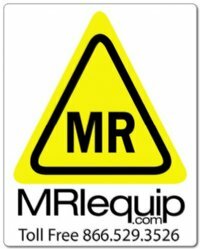 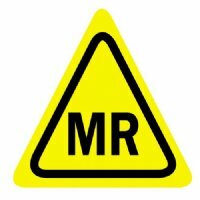 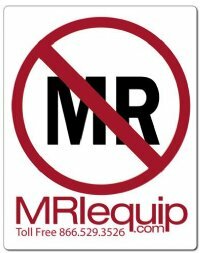 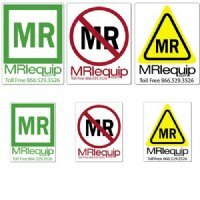 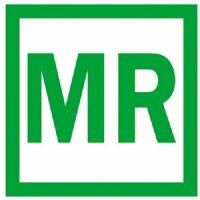 If you have any questions about MRI Safety Stickers please contact MRIequip's friendly customer service. 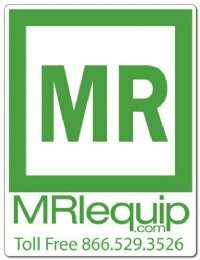 We will be happy to answer all of your questions. 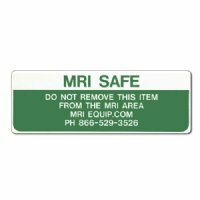 MRI Non-Magnetic MRI Safe Stickers 1/2" x 3/4"
MRI Non-Magnetic MRI Safe Stickers 1 1/2" x 2"
MRI Non-Magnetic MRI Safe Stickers 3 1/2" x 4"
MRI Non-Magnetic MRI Conditional Stickers 1 1/2" x 2"
MRI Non-Magnetic MRI Conditional Stickers 3 1/2" x 4"
MRI Non-Magnetic Not MR Safe Stickers 1/2" x 3/4"
MRI Non-Magnetic Not MR Safe Stickers 1 1/2" x 2"
MRI Non-Magnetic Not MR Safe Stickers 3 1/2" x 4"
MRI Non-Magnetic Warning Stickers "Do Not Remove from MRI Area"
MRI Non-Magnetic Warning Stickers "Do NOT Remove from MRI Area" 1" x 3"
MRI Non-Magnetic Warning Stickers "Do NOT Remove from MRI Area" 1 1/2" x 6"
MRI Non-Magnetic Warning Stickers "Do NOT Remove from MRI Area" 4" x 6"
MRI Non-Magnetic Warning Stickers "Danger! 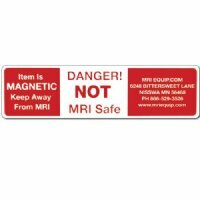 NOT MRI Safe"
MRI Non-Magnetic Warning Stickers "Danger! 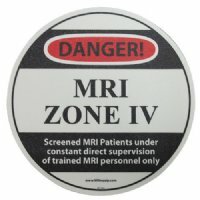 NOT MRI Safe" 1" x 3"
MRI Non-Magnetic Warning Stickers "Danger! 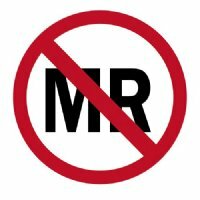 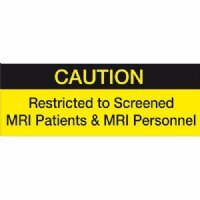 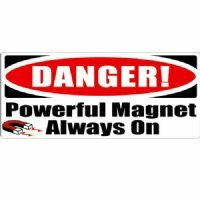 NOT MRI Safe" 1 1/2" x 6"
MRI Non-Magnetic Warning Stickers "Danger! 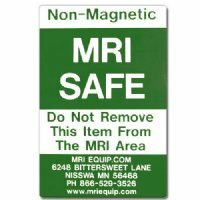 NOT MRI Safe" 4" x 6"